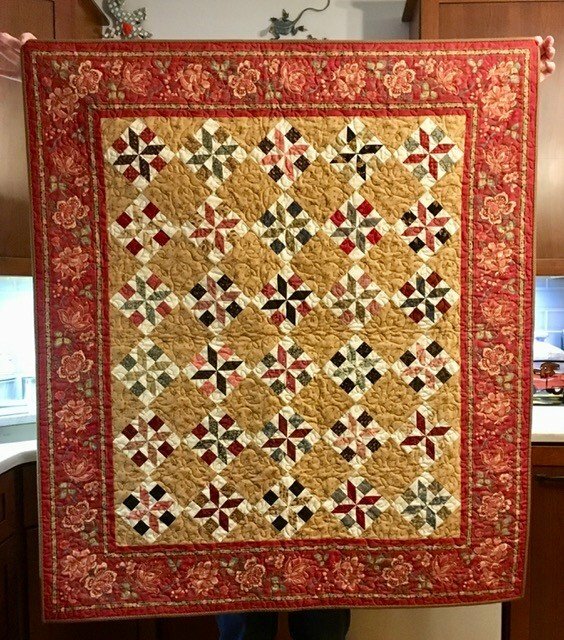 Make this stunning pattern created by Carol Hopkins in Civil War Legacies III name after a friend who lost her battle with cancer. The half square Bloc-Loc ruler will help ensure accuracy. Choose a favorite fabric for your setting squares that will highlight your pieced blocks. Book purchase required. Please be sure to pick up the supply list and cutting instructions before class. Leslie is an award winning quilter having had several quilts place in the Vermont Quilt Festival. She will help you increase your precision and accuracy in your quilting.